On Friday July 7th, Haegele's Bakery turns 87 years old. It's hard to believe that it's nearly 9 decades since we first opened our doors, July 7th, 1930. I can remember when we celebrated 60 years and then our 75th, our 80th, and 85th anniversary. Last year we celebrated 86 years with birthday cake and Bob Kelly. What a blast that was and it still feels like it was only yesterday. 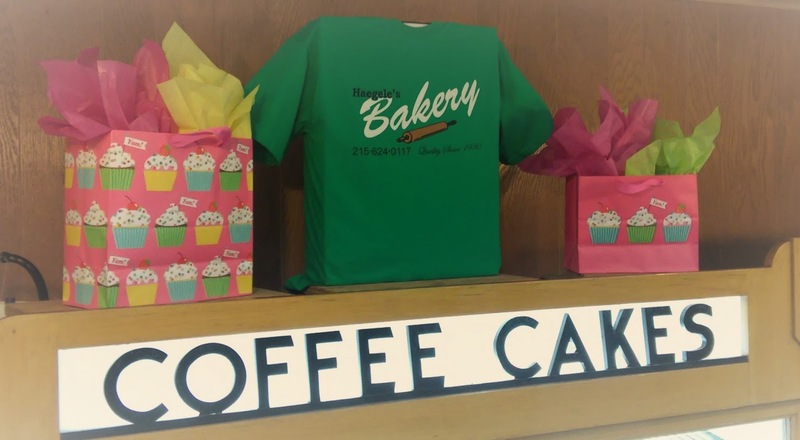 These years just seem to pile up and in a blink of an eye, you're adding another candle to the cake.. And so on Friday, Haegele's will be celebrating again, giving out cake and rolling back prices to 25 cents on some items. Do you still have one of our t-shirts? Wear it in on Friday for an extra piece of cake! Happy Birthday Haegele's, with a big thank you to all our customers for their patronage and presence over all the years. Doing what we love while being graced with appreciation and friendship from our customers is the greatest present ever.... and really.... we get to unwrap that, 365 days of the year!! !